These words from President John F. Kennedy’s inaugural speech in January 1961 live on at John F. Kennedy University. Since its founding in 1964, the University has made meaningful service to the local community an integral part of its students’ education. As an expression of its mission, “Education for Change,” the University ensures all of its students participate in impactful learning experiences connected to service. These may include the internships, externships, clinical experience, fieldwork, or practicums embedded in many degree programs. Additionally, the John F. Kennedy University Engaged program facilitates 30 hours of community service in the form of a grant-supported project prior to graduation. 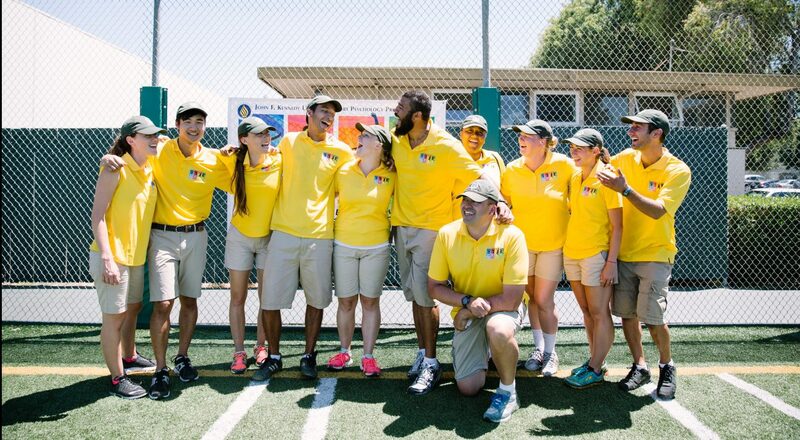 As part of JFK University’s broader mission to provide practical experience for students while making positive contributions to the local community, the LEAP Program offers students in the Sport Psychology Program the opportunity to gain first-hand experience working with underserved youth, using sport psychology techniques to empower the youth through mental skills training. To provide students with on-the-job training while at the same time providing valuable services to underserved segments of the local population, the College of Law requires all students to participate in one of the College’s highly regarded clinical programs. Students may work with the Housing Advocacy Clinic, the Legal Clinic for Elders, or the Children, Families, and the Law Program. The Office of Clinical Training ensures that all MA Counseling MFT and Holistic students receive exceptional clinical training through internally managed community-based and school-based practicum placements as well as external field placements in a wide variety of clinical settings in the Bay Area. This 30-hour graduation requirement is an opportunity for students to serve their community, enhance their resume, and make professional connections. Students work with faculty and staff to design a service-learning project that demonstrates a commitment to the university’s core beliefs and that incorporates academic learning into experience. Change happens the moment you say yes.